If you are not yet eating a nutrient-rich healthy way and need to speed up the detoxification process to lose weight naturally you need to maximize your micro-nutrient consumption. Health shakes are the ticket to the fastest ride to not only losing weight but feeling fantastic as well. When food cravings kick in they are cravings.usually so intense and persistent that it will send the most avid dieter into the kitchen in a quest for something to eat. Most times this ends up being something with no nutritional value whatsoever that simply fuels your cravings even more. This is why most mainstream diets fail miserably. They are based around processed foods that are not going to help you achieve your weight loss goals. If you are still eating the same things that threw your hormones out of whack you are going to have a very hard time losing that excess weight. The fat contained in coconut is the healthiest fat in the world so don’t be afraid to use it. This time we want lots of healthy fats so go for the best quality coconut milk or cream you can find. Once you get this ingrained into your life, it is very easy to implement. Investing 3-4 minutes each morning is easier than the stress of eating ‘whatever, whenever’ with the resulting weight gain and energy loss from metabolism slow down. You will find that making your Health Shake every morning will make you strong in every possible way. When you are feeling strong (and not stressed) it is much easier to make good decisions about eating and exercising and you are more motivated to do the things you know you need to do. Starting your day the Health Shake way makes it much easier to make quality food choices the rest of the day. Once you experience how these shakes make you feel you will never go back to your ‘old ways’. 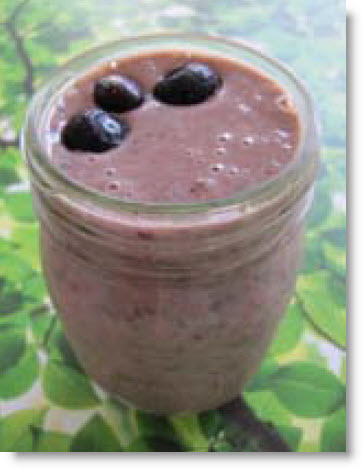 Discover more great Health Shake Recipes in “Stop Weight Loss Resistance”.